Leon has always been the liberal capital of Nicaragua, exuding an attractive revolutionary swagger. 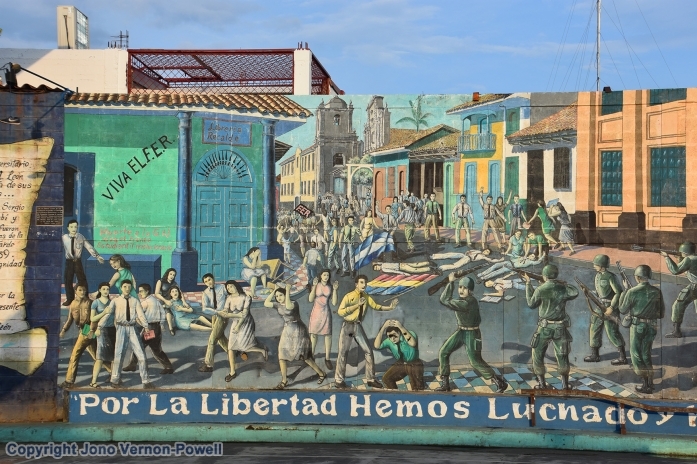 To this day, it boasts an enormous collection of pro-Sandinistas graffiti art proudly referring to the time when, in the 1970s, the city acted as the bastion of anti-Somoza insurgency. 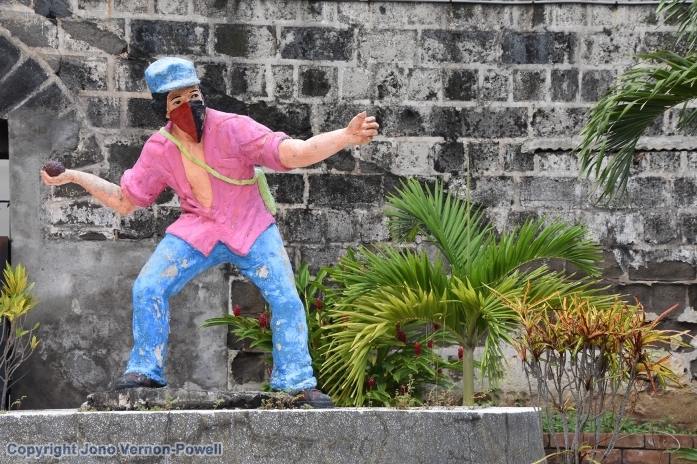 On a recent visit I was immediately taken by the storm of powerful imagery that dominates the centre of Old Leon, poignantly illustrating the era when street battles between the Sandinistas and National Guard were at their most intense. Forty years on, these omnipresent images highlight and replicate the 1979 revolution when the Sandinista National Liberation Front (FSLN) took control of Leon, before Samoza re-took the city by unforgivably bombing his own people. It was an act that left a legacy of ruthless street violence as the National Guard cut down swathes of anti-government demonstrators, which most notably resulted in the deaths of four students. Visiting the old city prison museum (El Museo de Tradiciones y Leyendas) is as harrowing as it is humbling. With no holds barred, artist drawings reproduce some of the cruelest acts of torture. Leon will always be one of my favourite Central America cities, for its sense of post-revolutionary fun as much as for its history. But today’s yesteryear street art is beginning to feel incongruous as the political pendulum of Latin America swings increasingly to the right. Not only has the previously socialist President of Nicaragua Daniel Ortega been accused of recently turning the gun on his own people, with security forces killing anti-government demonstrators, but also the socialist President of Venezuela Nicolas Maduro is now on the point of political collapse thanks to civil unrest in response to the country’s economic meltdown. If you factor in the surge of right-wing Latino Trump-style politicians such as Jair Bolsonaro in Brazil, it seems the days of left-wing guerrilla art could be on the wane. 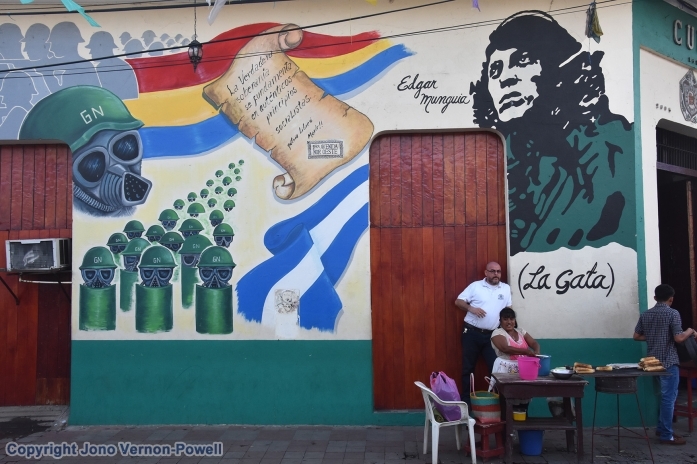 So, if you are visiting Leon in Nicaragua, even if mainly for the unique opportunity to surf down a volcano, remember to make time to view the city’s exceptional montage of political street art.